Every method of lead capture in your CRM can and should be connected to a form of marketing automation. Marketing automation allows you to engage follow-up with leads and nurture them, and help them on the buyer journey. Lead nurturing is a combination of education and encouraging action, along with measuring what leads and customers do with your messaging. The goal of marketing automation is to use software to drive people into your sales funnel. Tracking this data gives you insight into what messaging works, while helping your sales teams focus on tasks that they do best — phone calls, personalized emails, and in-person meetings. When someone fills out a form, you can trigger emails to be sent to that person. An immediate email may be warranted to confirm the form data was received. Follow-up emails for educational purposes are also helpful. Be careful to not inundate leads with too many emails. People want to be followed up with, not harassed. Your forms should give you flexibility to assign a contact to different campaigns or groups. 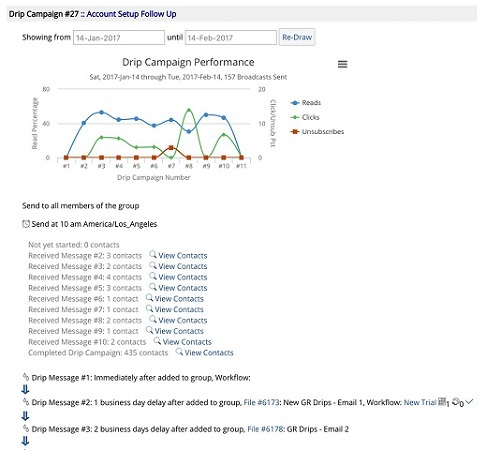 Assigning leads to groups allows you to trigger targeted drip campaigns, or sequences of emails With your CRM connected to your marketing automation, you have the ability to tailor the content of those messages directly to what the lead is looking for. A straightforward drip campaign activated when a contact is added to a group. Beyond forms, group assignment is a great way to trigger automated workflows and marketing. Allow key members of your team to add someone to a group to engage a campaign to simplify multi-step conversion processes. Build it into your process flows. A customer journey is a model of the path you want your leads to take from when you first track them until they become customers. Marketing automation combined with your CRM guides your leads along their paths. Because everyone’s path is likely a little different, build personalization and expected behavior of your market segments into your buyer journeys. By starting individuals on a journey as a result of capturing their information with a form, you can build in a complex, logic-driven way to convert them from leads to customers. You can also use that as a way to further educate or up-sell existing customers. Journeys are a powerful tool when used to drive people to take action. Journeys can trigger workflows, which can assign CRM activities, send emails, send text messages, send print pieces, update data in the CRM, change group assignments, or do any number of different actions. Determine what your journeys look like, and then build workflows to match the actions you want your team to take. A journey that starts when someone fills out a form on a website.